I’ve been doing these quote’s of the week for a really long time now, in fact, it was one of the first weekly feature’s I started on my little blog. My main idea with this whole thing was to take a quote that’s currently inspiring me or helping me through a bit of a rough patch and share it with you guys, because after all, you never know who might be reading, they might just need a little bit of positivity in their life! You can never have too much positivity in your life! This past week, I’ve felt a little deflated, unmotivated and just a bit rubbish. This quote has popped in and out of my head on occasion and I’ve held on to the thought for all of about five minutes and then just completely disregarded it. 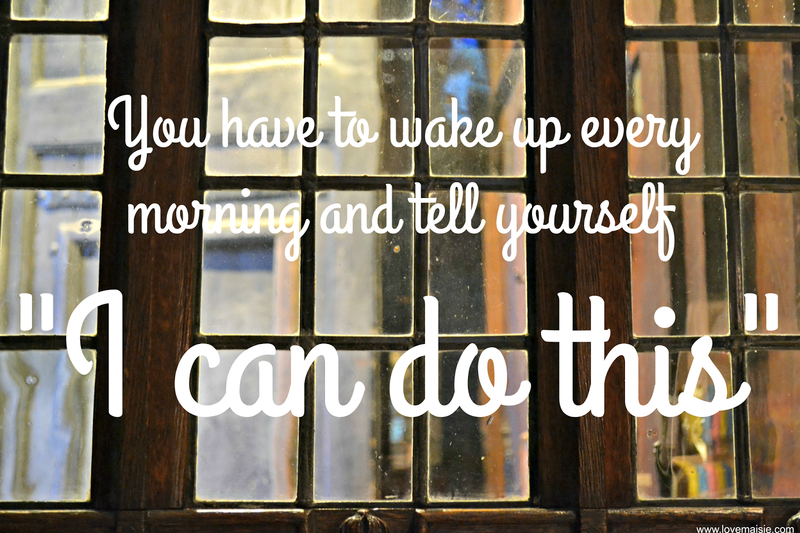 This week however, i’m going to make this my little morning mantra, because you know what, I can do this! Wake up at a decent hour, every morning. By this, I mean between 7 and 8 am, believe me, this can sometime’s be a real challenge for me. Keep on top of all my blog posts. I’ve got loads of ideas for this week and next, some of them are super duper fun too, eep! Get in some exercise. This could prove to be a little challenging as during last night’s run I hurt my ankle a little, ouchy. Keep positive about job hunting! I’ve been back in sunny ol’ England for over a month now and I’ve still not found someone nutty enough to hire me! All jokes aside, I’m really starting to get fed up of being unemployed, fingers crossed that something fab lands in my inbox this week!